Many people take ginger as an alternative health supplement, especially for its well-recognized anti-nausea properties. Side effects of taking ginger are relatively rare, and are usually only seen in very high doses. In particular, anyone considering ginger supplements should consult with a physician if he is currently taking blood-thinning medication or drugs designed to lower blood sugar. People have been using ginger to help digestion and treat stomach upset, nausea, and diarrhea for thousands of years, as well as for treating arthritis. 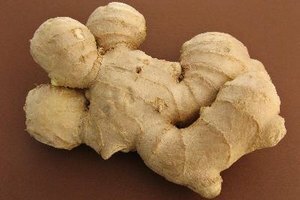 Ginger is still used for these purposes today, particularly for preventing and treating nausea related to pregnancy, motion sickness and chemotherapy. It can be taken as a powder (in capsule or tablet form), as a fresh or dried root, a liquid extract, tincture or tea. On their websites, medical centers such as the University of Maryland and the Mayo Clinic provide extensive information about the use of ginger as a therapeutic agent. 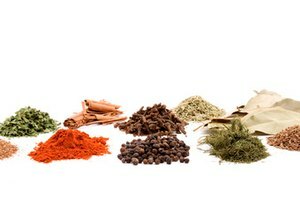 Side effects are rare, but if taken in very large doses, this spice does have potential to cause some problems. Excessive daily doses are considered to be over 10,000mg of fresh ginger or over 4,000mg of powdered ginger on a continual basis. 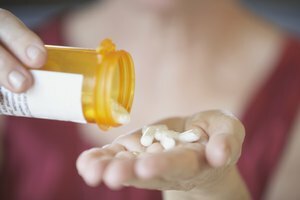 In general, alternative-health-care practitioners do not recommend higher doses. The most common side effects seen with ginger are heartburn, belching, and tingling or a bad taste in the mouth. Sometimes, bloating, gas, diarrhea and nausea can occur with large amounts of powdered ginger. Doctors recommend that people with a history of ulcers, gallstones, inflammatory bowel disease or intestinal blockages avoid large amounts of fresh ginger, and consult with their personal physician before using supplements. People with a bleeding disorder and those who are taking blood-thinning medications (such as aspirin or warfarin) must be careful with ginger, because it can slow the clotting ability of blood. A physician's supervision is also recommended for people who want to try a ginger supplement and are already taking any heart medicine or high-blood-pressure medication. Anti-inflammatory drugs like ibuprofen and naproxen should be avoided by people who are using ginger supplements. Ginger may lower blood sugar and increase the effectiveness of insulin and other drugs used for treating diabetes. 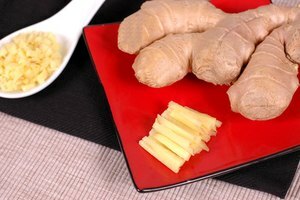 Diabetics taking blood-sugar-lowering medication should be cautious about ingesting large amounts of ginger. In rare cases, people taking ginger as a supplement have experienced allergic reactions, with symptoms like a rash, hives, itching, tightness in the chest or difficulty breathing, drowsiness, mouth or facial swelling, or irregular heartbeat.